Addictive, fun, and with substantive staying power, "GLOW" is the best way to beat the 2017 heat. Every year, the cultural decision-makers come together to make one crucial decision for our country: the song of the summer. While the exact choice is debated among various music fans, the de facto musical definer of the season is generally determined by both popularity and perceived staying power. The song reflects what we’ll remember about that summer, generally from an optimistic viewpoint. While pulling more good vibes than bad ones from 2017 may sound tough, if anything on TV is going to leave people on the ups, it’s “GLOW.” Liz Flahive’s new Netflix series is upbeat, enthusiastic, and empowering. Chronicling a start-up group of women’s wrestlers in the ’80s, the 10-episode half-hour comedy is edgy, both in quick bursts and its overall message, but still consistently light enough for fluffy fun. It’s a great pop song built around great pop songs. And the result is a great freshman season of TV, perfect for an invigorating summer binge. 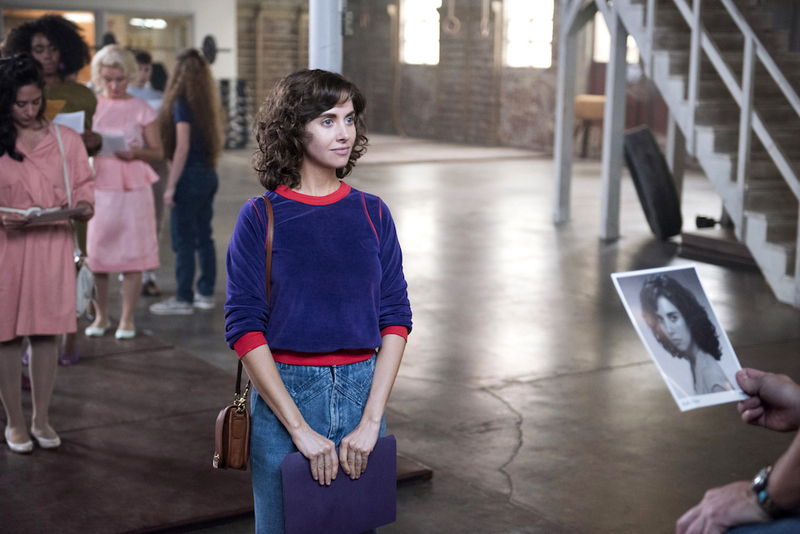 “GLOW,” an acronym for Gorgeous Ladies of Wrestling, primarily tells the story of Ruth (Alison Brie), a struggling actress living and not working in Los Angeles during the early ’80s. She’s called in for casting sessions as a prop, despite her talent, and is getting visibly frustrated with the lack of substantial roles for women. Broke, desperate, and down, Brie still imbues Ruth — an ’80s name ripe for resurgence if we’ve ever heard one — with strong conviction. She’s driven, even when she’s driving in the wrong direction, and that helps make her a compelling lead. For instance, there’s no good reason for her to become transfixed by a non-professional women’s wrestling league run by a middle-aged, has-been horror director (played with just the right mix of earnest interest and zero-shits-given by Marc Maron). She’s sent there looking for a part, but the cheap facilities and lack of professional supervision serve as immediate indicators to flee, not stick. But Ruth is determined; she sees potential whenever passion strikes, whether she should or not. This open-eyed running into walls could make Ruth frustrating if she wasn’t willing to admit her flaws. As a proxy for viewers, she’s equal parts inspiring and endearing. She knows nothing about wrestling going in, and has little respect for it (like many Netflix subscribers), but she’s given just enough reason to get invested Ruth doesn’t fit in with the fellow wrestlers; not at first. That she’s thrown herself into a world with such a limited ceiling may seem like a poor career choice, beyond a lack of options, but once the cast comes together, there’s no reason Ruth (or viewers) would want to leave. Carmen Wade (Britney Young) is her second-in-command. The daughter of a wrestling giant (literally and figuratively), Carmen’s hardest fight is outside the ring: Expectations cut both ways, and Young’s choices to be reserved and authoritative (to varying degrees) bring out more from the character. (An unrealized romance could be great fodder for Season 2, as well.) Britt Baron is given the most difficult supporting role among the B and C stories, even though you may not realize it until Episode 9, and Maron makes for an ideal male perspective in a group of women: Simultaneously paternal and brashly attractive, Maron’s gives confidence to his director while harboring a well of insecurities. He’s not above being the bad guy — well, more ignorant than bad — but he maintains his humanity while representing many common, conflicting masculine traits. But Betty Gilpin reigns supreme. As the series bounces between fun episodic arcs based around training sequences (montages! ), character creation (costumes! ), and fundraising (car wash! ), there’s an unrelenting dramatic through-line that only works because Gilpin quickly and consistently finds truth in her character’s internal conflict. It’s complicated and impossible to discuss without spoilers, but viewers will understand before Episode 1 wraps how integral Gilpin’s tightrope walk is to the series. She makes it all the way down the wire, performing a few somersaults along the way, and earns an ovation-worthy ending. Moreover, Gilpin and Brie embody the spirit of “GLOW” which is so hard to get just right. Substantive, light-hearted comedy often feels diametrically opposed, or at least creates odd swings in mood, but these two performers ease Flahive’s well-paved transitions beautifully. They know when to cut loose and have a good time, and they know when to dig in and tug at our hearts. Flahive carefully implements progressive messages — about Hollywood, especially — into the fun, and this team of women bring together a series worth repeated plays all summer long and (hopefully) in years to come. To call it a feel-good hit would be a bit reductive and presumptive, but “GLOW” deserves all the love and respect thrust upon it. Sit back, turn it up, and enjoy. “GLOW” Season 1 is streaming now on Netflix.